The Cockrell School is committed to ensuring that our students have the opportunity to complete their engineering degree in four years and under the best circumstances. One of our primary areas of focus is setting our students up for success as soon as they step foot on the Forty Acres. The Ramshorn Scholars Program is a first- and second-year engineering academic learning community in the Cockrell School of Engineering dedicated to helping engineering undergraduates transition to college and continue their pattern of academic excellence. The Cockrell School of Engineering provides various opportunities for students to receive academic support via personalized tutoring and academic community centers. 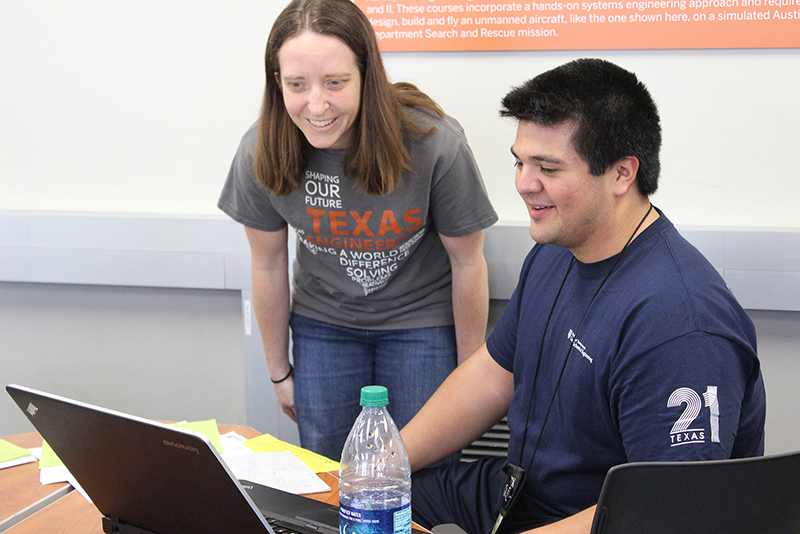 The school offers tutoring by department, drop-in tutoring via Engineering Study Tables in the new Engineering Education and Research Center (EER) and scheduled appointments through Engineering Student Services. University programs focused on undergraduate student success help build supportive communities for all incoming students, provide supplemental academic support for students who are struggling, create alternative routes to matriculate, offer incentive-based scholarships tied to performance and ensure students have more opportunities to succeed once on campus.